What’s a girl to do when Daddy wants her dead? Especially when Daddy is Mortuary Dan, otherwise known as Death himself. 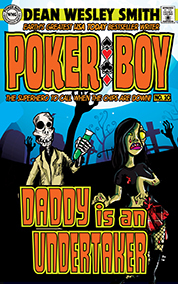 Poker Boy and his team must help the only daughter of Death understand that she’s really not going to die as she turns twenty-one.